Hokkaido in June! Recommended spots, events and clothes. 2. Featured events in Hokkaido in June! If you visit Hokkaido in June, we really want you to experience the amazing nature and we’ve decided to introduce some sightseeing areas with nature in the spotlight! 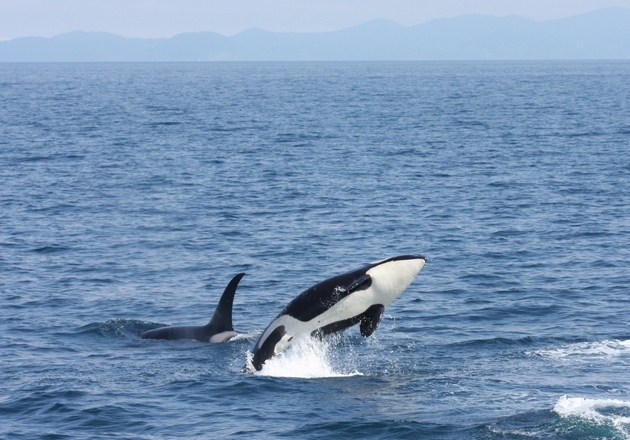 ・Trek around Shiretoko and Lake Rausu and meet killer whales in the sea around Shiretoko! June is the best season to see beautiful views with the remains of snow. It’s a season blessed with relatively good weather and a spectacular view awaits you upon crossing the wetlands! However, the mountain paths are quite rugged so climbing gear is necessary. Additionally, another attractive point about the Rausu area is that you can see a variety of wild animals in the sea. June is the best time to see minke whales, killer whales, dolphins etc. You should definitely get on a sightseeing boat and enjoy the view! 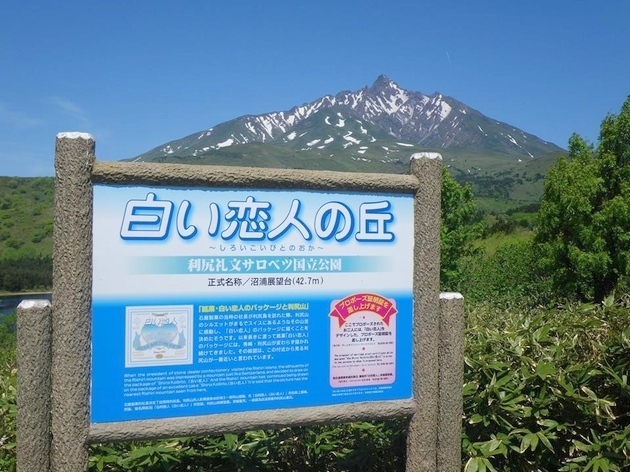 June is the peak season for sightseeing in Rishiri Island and Rebun Island, where you can see alpine plants and a full view of the magnificent Rishirifuji mountain. It seems that a lot of tourists have already visited this area and have enjoyed it to the fullest. These are furthest islands you can go to by taking the heartland ferry from Wakkanai port. You should definitely try trekking and sightseeing in these places in the best season. In Rishiri Island, you can enjoy beautiful views of Mt. Rishiri, see a reflection of Mt. Fuji in lakes, and enjoy marshlands. There are plenty of sightseeing spots within the island! 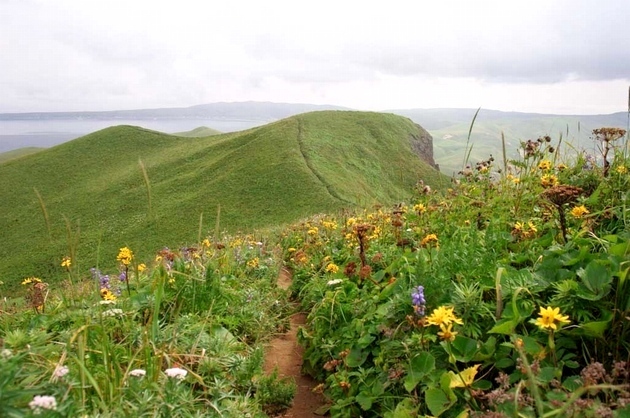 Rebun island is a place to enjoy alpine plants and trekking courses. It is a wonderful place with hilly landscapes and views from mountains. Both these islands can be visited on a day trip from Wakkanai, so you should definitely pay a visit! If you would like to take it easy, we recommend staying a night. 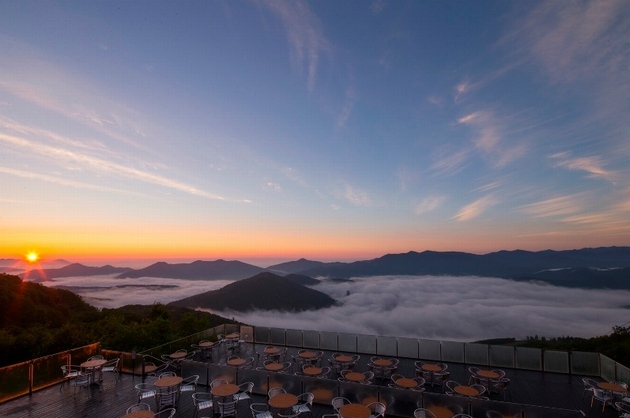 The popular Unkai (sea of clouds) Terrace is also open this year! Although it’s only limited to early-morning, you can spend a blissful time looking at a sea of clouds right in front of you. With this spectacular view, you can have a memorable experience, like nothing you have ever seen before. In 2013, this famous spot attracted more than 110,000 visitors in one season. Now, not only does this place have repeaters, you’ll hear a lot about it! It’s been selected as a must-see spot! The secret of its popularity is using the lifts in the ski resort slope in the summer. 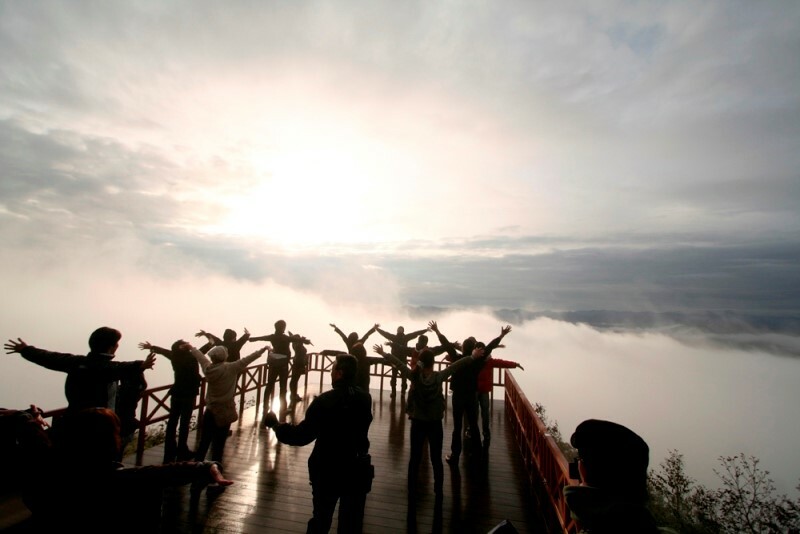 By doing this instead of climbing, you can easily access the mountain summit in about 13 minutes taking a stroll in the sky, where you can see a magnificent sea of clouds. 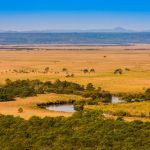 There’s a big temperature difference between the daytime and nighttime in Tomamu; it is a place that has the ideal weather conditions to produce a sea of clouds, and there is a 30% to 40% chance of their appearance throughout the season. Furthermore, there are four decks, each having a different view of the sea of clouds! Depending on weather conditions, you can see the clouds from up-close on the protruding terrace, which allows you to enjoy looking at them flowing right under your feet! 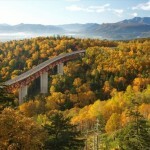 Additionally, there are also other activities like Tenbou cafe, Unkai yoga, postcards, hiking Mt. Tomamu, Unkai guide, etc. There are lots of things to do in Tomamu other than watching a sea of clouds. How about trying some of these things in the place where Unkai appears? You’re sure to get energized! NB: Because it’s a natural phenomenon, there are instances when the sea of clouds won’t appear. Also, ski lifts may be stopped due to bad weather conditions. The view from Mt. Moiwa is just as magnificent as the night views in Hakodate. 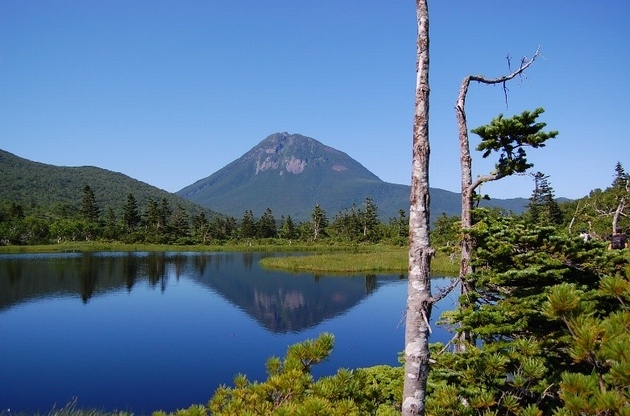 At an altitude of 531m, this mountain is also known to have an Ainu name. The Ainu name is Inkarushipe, meaning “always standing there and keeping guard”. The observation deck allows a 360 degree view, so you can see the streets of Sapporo, the Ishikari plains as well as the Ishikari Bay. In the beginning of June, the weather is pretty stable and it’s possible to see a clear, unobstructed night view. It is recommended to go to the observation deck before sunset and watch the city lights slowly start glittering. Also, in 2012, the “bell of love” in the observation deck was chosen as a sacred spot for lovers. 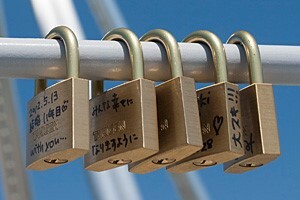 It is said that if a padlock is attached with the name of two people written on it, they will never break up. It’s wonderful to ring the bell with your loved one and deepen your bond with them. June is the season where there are greens everywhere in the Furano and Biei area. Even a drive would let you enjoy the amazing scenery in these places. However, if you do go there, you can’t miss touring around lavender fields. The peak season for lavender is July, but it starts looking beautiful towards middle and end of June. Also, in this period, there are not a lot of tourists so you can enjoy looking at the lavender at a slow and relaxing pace. With so many farms, It’s difficult to decide which one to choose, but most of them are concentrated in Hanabito Kaido road, so you’ll probably be able to see all of them. A personal recommendation would be Kanno farm. It’s open till sunset and all the seedlings are handworked. Other than lavender, it also boasts plenty of other summer flowers and makes seasonal local vegetables, so do drop by! 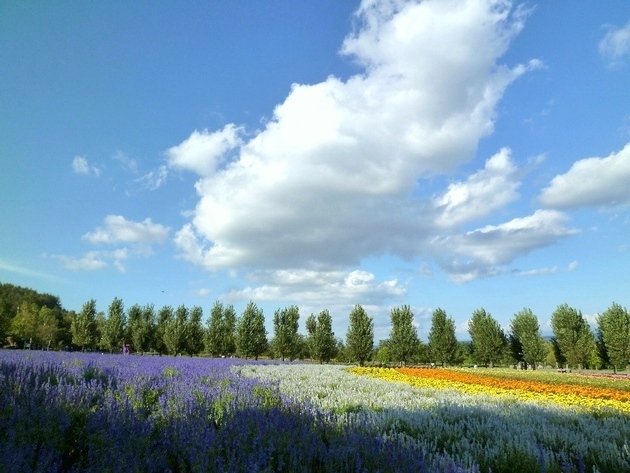 Also, Furano is dotted with famous sightseeing spots that famous TV shows were filmed in. You can also see a variety of plants in Kaze no Garden! 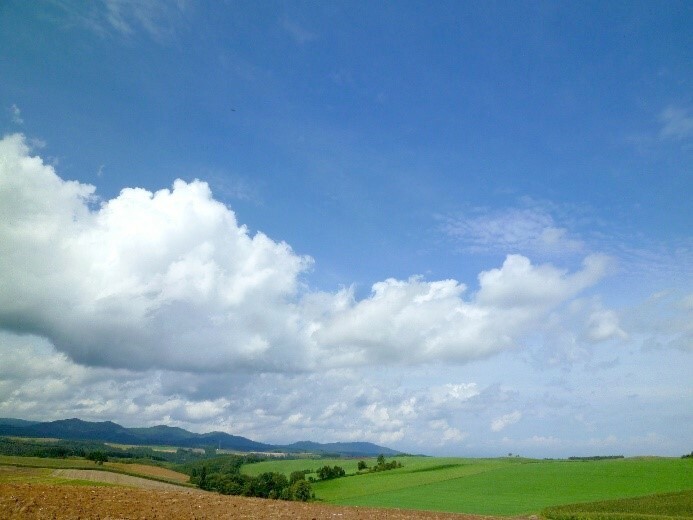 In Biei, Shikisai no Oka hill or Patchwork no Oka hill, with their beautiful slopes are also a great attraction. You can see fresh greens along with pretty flowers, so this is definitely a place you should visit. 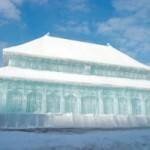 ・ Sapporo is expecting a hot summer! Get excited for Yosakoi Soran festival! 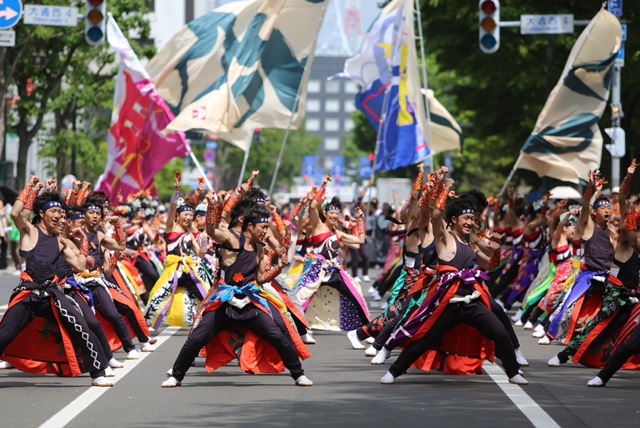 The Yosakoi Soran festival will start again in Sapporo. Sapporo city will be filled with dancing all day and all night! Yosakoi Soran is a combination of naruko from the yosakoi festival in Aichi prefecture and the Hokkaido folk song, “Soran”. Each team gets together to showcase their performances and compete with each other. The quality of the performances have been imroving every year and even spectators can’t stand still looking at them! You can see the Yosakoi Soran festival firsthand, so why not go see it this year; it will be stirring up the whole town! There are also special seats available for a fee, so make inquiries in advance! ・So many fun things to do in Shiretoko-Aki festival! Shiretoko-Aki is so lively and vibrant! 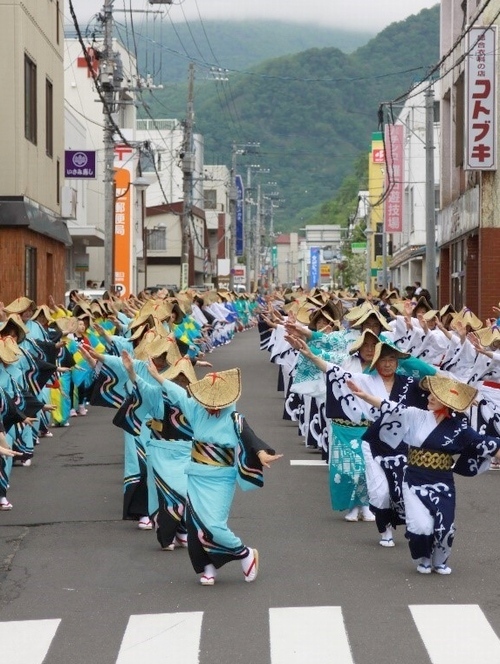 Rausu-cho town has plenty of events: it’s full of vibrant voices, with people dancing on the streets, performing folk entertainment with ibuki barrels, fireworks, and tug-of war. You shouldn’t miss eating the huge, delicious, and fabulous Shiretoko sen-ri nabe; a hot pot made with seafood! Enjoy all of these fun things when you’re sightseeing in the Rausu area! ・Soft and fluffy sea urchin in June! 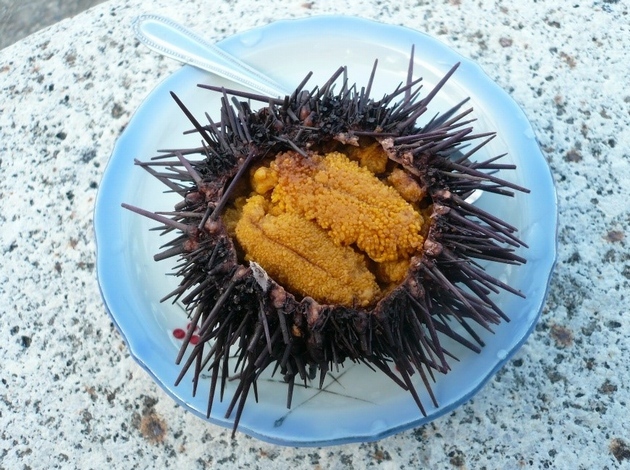 NB: The lift on the ban on Japanese green sea urchins start from the beginning to middle of June ( varies by region). Please confirm the dates beforehand if you’re planning to go at that time. 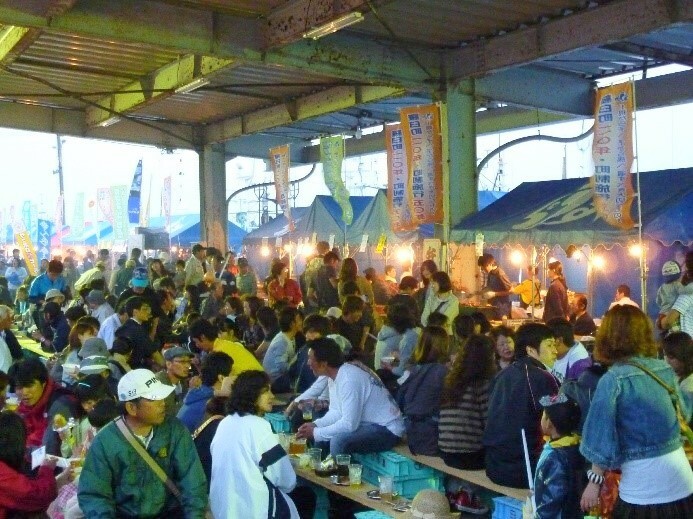 ・With the fishing season in peak in June, Hakodate’s squid soumen can’t be missed! The Hakodate fishery cooperative has arranged for a ban on fishing for the surume squid from January to May every year. Then, on June 2, the fisherman’s ban on the squid is lifted. From January to May, you can’t eat Hokadate’s famous “clear squid soumen.” Ika-sashi is sliced squid to be eaten with soy sauce as sashimi. 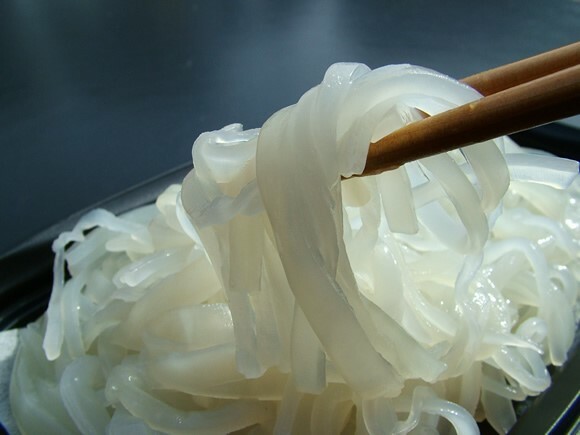 Ika-soumen is when the squid is sliced thinly like soumen noodles and eaten with noodle soup. It’s a delicious combination! The ban will be lifted very soon and there are plenty of repeaters looking forward to it! Ika-soumen made with fresh squid caught in the morning is delicious and it’s worth going all the way to Hakodate for! Hokkaido is so huge that temperatures are completely different around the Hakodate area, the Kushiro and Wakkanai area, and the Shiretoko area. Coastal areas such as Kushiro are usually quite cold and inland areas tend to be hot. As you can see in the graph, inland areas such as Sapporo vary between temperatures of 21 degrees to 22 degrees on average in June, while coastal areas such as Kushiro range between 17 to 18 degrees. In addition, there are also differences in temperature sensations in coastal or mountainous regions. For, example it feels colder on days with strong winds, so take precautions. The Kussharo lake, Mashuu lake and Akan lake regions are still cold in June. Therefore, please make sure to be prepared so that the temperatures don’t affect your trip! If you’re going to an inland area such as Sapporo or Hakodate, short-sleeved clothes should be okay on some days, but early mornings and nights tend to be cold so long-sleeved cover ups are essential. Long-sleeved outerwear is especially important if you’re going out at night! Additionally, even if summer clothes are acceptable in Sapporo or Hokkaido, as stated above, you will need something long-sleeved and resistant to wind for open or mountainous areas, as well as Kushiro, Wakkanai, Shiretoko, Furano, Biei and the lakes in the eastern area. There are instances when people catch a cold and have to go back home because they didn’t sufficiently prepare warm clothes, so please do take precautions. If you’re going to inland areas, summer clothes should be fine in the daytime, but you’ll need something long-sleeved for the night or windy days. For Kushiro, Wakkanai, Shiretoko, etc, long-sleeved outerwear is important. Also, be sure to take firm measures against ultraviolet rays! That’s all. 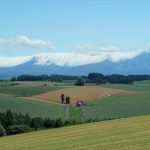 So what do you think about our recommendations for Hokkaido in June? It’s a great season for food and sightseeing, and we strongly recommend the events coming up! 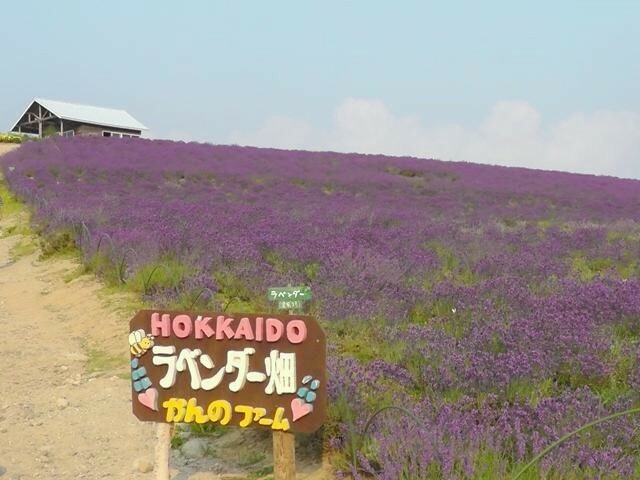 Please enjoy Hokkaido to the fullest in June!